Established in 1991, Aqua Blue Pools is the most highly regarded company in the swimming pool and aquatics industries in the metro area of Charleston, SC and Hilton Head Island, which is why most homeowners and professionals throughout the Lowcountry seek the services we have to offer. We are known as an expert in the field of planning, designing, building and consulting for projects that involve water features, swimming pools, spas and other aquatic facilities. Our base clientele consists of homeowners, architects, custom home builders, landscape architects and general contractors. Our expertise ranges from custom designed and built fountains and water features to swimming pools and spas. We are your local experts specializing in Commercial and Residential Pool Design & Construction, Maintenance, Renovation & Repair. We value quality over quantity and strive to create not only a pool that looks good on the surface, but a pool that is meticulous right down to the tiniest of details. We call it “The Diamond Standard” and we know that’s what our customers expect! The Pool Company specializes in installing in-ground fiberglass pools. Our preferred pool manufacturer is Hatteras Pools, based right here in the Carolina's. We gladly invite you to our design room to see all the available options and create your personal backyard oasis. The Pool Company can make your pool experience as easy and convenient as possible with several service packages available. Or, just call us when you need us and we'll be happy to help! A full service Hardscape, Waterscape, and Landscape company centrally located in Savannah,Ga. Including Design, Build, and/or Sales of Natural Stone, Concrete & Stone Pavers, Outdoor Kitchens & Firepits, Fishponds & Waterfalls, and Custom Concrete Pools & Spas. Count on Blue Haven Pools & Spas to deliver more than you ever imagined for your backyard swimming pool. Along with an affordable, custom in-ground swimming pool with extraordinary value, you will enjoy peace of mind. It’s the kind of confidence that comes from choosing the most trusted name in backyard swimming pools—the recognized industry leader that’s backed by rock-solid warranties. Blue Haven is a name upon which tens of thousands of U.S. homeowners have relied. Year Round Pool Company is your headquarters for all of your pool and spa needs. For nearly a quarter of a century Year Round Pool Company has been providing quality products and services to our clients. From design and construction to service and renovation, we can assist you with any idea or question you may be considering. H2O Pools & Custom Design LLC, is dedicated to the individuality and unique personalities of each of their clients and their specific needs, wants, wishes and budgets. We design and build swimming pools and spas and deliver them one at a time, so that we ensure an on time, quality and complete build. Our company was created to meet the demands of our clients, who want to enjoy the benefits of a swimming pool without the frustration of prolonged building schedules and over the top expenses that, are beyond their budgets. H20 pools & custom design llc packs, as much as possible, into every pool, applying the highest quality of pool finishes and most reliable and industry respected equipment, on time and on budget. Each of our pools is specific to each of our clients. We incorporate our client’s ideas and preferences into each new pool, or, renovation, in order to deliver a pool that reflects their personality, not the builder’s. We are a husband and wife team, who have combined our more than 25 years of commercial and residential construction experience each, pool building, design and customer satisfaction to benefit our clients by being responsive to every need, to being able to compliment skill with aesthetics, to being present at every step and to personally be in our clients’ backyard every day to do what we just love to do – Turning visions into dreamscapes, one pool at a time. 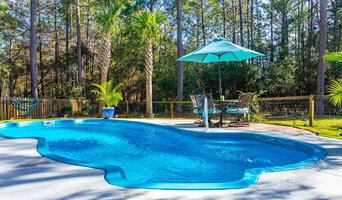 Quality Pools is a family-owned and operated pool company in Bluffton, South Carolina with over ten years experience delivering professional services with a commitment to complete customer satisfaction. Our pool business specializes in custom pool design, pool building and pool renovation. We are staffed with experienced team members – fully-licensed, insured and bonded residential contractors – who have the knowledge and skills to help you with your next custom pool project. Pride Pools, Spas and Leisure Products Inc. continues to build and install both above and in-ground pools, sell and install luxurious spas and offers industry related products to past, current and future customers. We have been making backyard dreams come true since 1975. Quality Pool Service & Repair, Inc.
QUALITY is more than our name. From swimming pool construction to weekly pool service, providing good quality service is what has made us the leading provider of swimming pool services in the HHI and Bluffton communities. For us, there's no such thing as "good enough." Actually, when we talk about “us,” our focus is really on you, our customer. At Elite Pools & Spas, we enjoy designing and constructing dream projects. It’s a rewarding part of our business that we take pride in every day. But more than that, our No. 1 priority is ensuring your complete satisfaction through the quality of our work and our service, because if you’re not happy, we don’t exist. It’s that simple. Elite Pools & Spas isn’t interested in becoming a giant company. To owner Natalee DeSimone and the rest of our experienced staff, completing each residential or commercial project the right way the first time – one pool and spa at a time – is the same business model we have followed since Elite Pools & Spas started five years ago. It’s a way of doing business that fosters life-long business relationships with our clients, who know we’ll be accessible to them before, during and after construction. When it comes to construction, one of the things that matters most to us is maintaining open lines of communication with you, our client. It’s your pool, after all, and you deserve to be intimately involved in its development every step of the way. Craft Tech PRO - Home Construction Services is Savannah's Premiere Home Improvement Contractor, with an experienced team to best serve you with all your home improvement projects. Craft Tech PRO is focused on providing high-quality service and customer satisfaction - we will do everything we can to exceed your expectations. Craft Tech PRO has Professional Craftsmen and Technicians to serve you in all your Home Construction Projects. Craft Tech PRO has a team of professional craftsmen and technicians with honed skills to complete Additions, Custom Sunrooms, Custom Vinyl Replacement Windows, Porches and Patios, Solar Energy Systems, Lifetime Swimming Pools and Spas, Kitchens, Flooring, Roofing and more to serve all your home improvement desires and needs in the Southeast Georgia/Savannah Area and Southeast South Carolina area. What exactly do Bluffton pool builders do? If you are planning for a new pool in Bluffton, SC, a swimming pool builder will analyze your outdoor space and your aesthetic wishes to determine an appropriate design for your yard, installing it once the plan is developed and approved. Once installed, some pool companies in Bluffton, SC can handle the necessary cleanings, water testing, renovations and equipment replacement or repairs for your pool or spa. If not, many can also suggest Bluffton, SC swimming pool contractors or maintenance services to help with upkeep or repairs down the road. Here are some related professionals and vendors to complement the work of swimming pool builders: Garden & Landscape Supplies, Landscape Architects & Landscape Designers, General Contractors, Landscape Contractors, Solar Energy Contractors. Before hiring a swimming pool construction company to create your new Bluffton, SC pool, determine how you'll be using it. Will it be for fun or for lap exercise? Will the primary users be children, adults or a mix of the two? Knowing the use can help you find Bluffton pool builders who shares your aesthetic. Once you find swimming pool builders in Bluffton, SC who share your style, research is critical. Review customer references and comments, collect at least three to four estimates to compare, meet with potential Bluffton pool designers and builders in person and ensure that they are South Carolina certified service professionals and licensed with the registrar of contractors before making any final decisions. In addition, get a sense whether they plan to complete the pool installation and be done with it, or whether they seem interested in building a long-term relationship with you. Be wary of the former: it's likely a reflection on the level of quality of the pool construction they do. Find a Bluffton pool contractor or designer on Houzz. 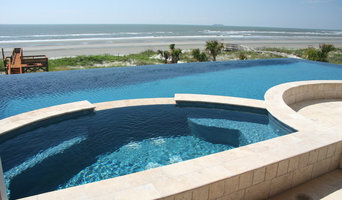 Narrow your search in the Professionals section of the website to pool builders in Bluffton, SC. You can also look through Bluffton, SC photos by style to find a pool or spa you like, then contact the local pool company who designed it.